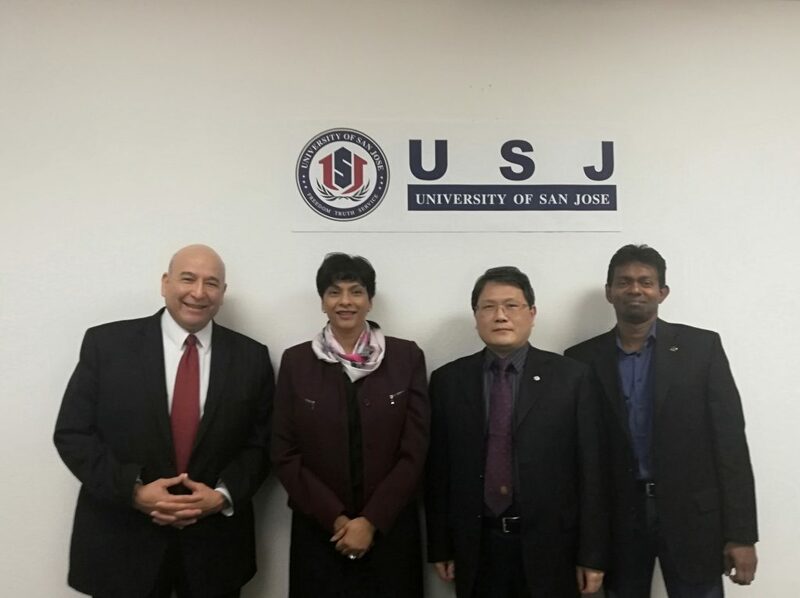 On January 14th 2019 ,Chief Academic Expansion Officer Associate Provost, Internationalization Dr. Preetha Ram visited USJ. Dr. Ram is Chief Academic Expansion Officer Associate Provost, Internationalization of Harrisburg University of Science and Technology. President of USJ , Dr Wang, and Vice President of USJ , Professor Tafolla meet the visiting guests.